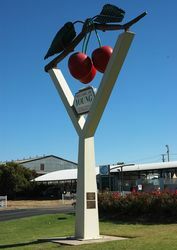 A monument commemorates the pioneer cherry growers of the Young district since 1862 and also commemorates the breeding of the "Rons" seedling. 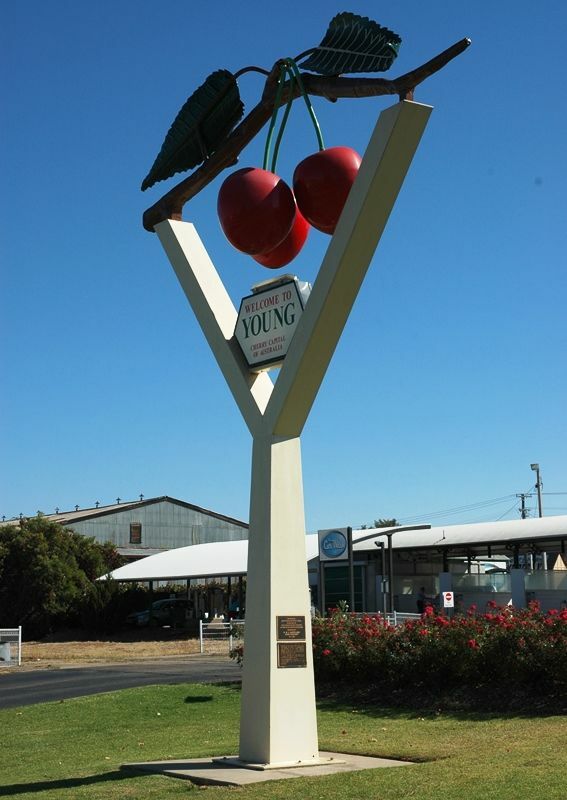 Young is also known as the 'Cherry Capital of Australia'. 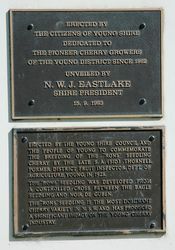 Cherry trees appear to have first been planted in Young in 1847 at the home Orchard of a Mr Edward Taylor. In 1878, the first commercial cherry orchard was planted in Young by Croatian Migrant Nikola Jasprica (often known by Anglicised form of his name Nicolas Jasprizza). Using some of the original stock from Taylor's Kentish varieties Jasprica conducted grafting experiments to produce a suitable variety. He had arrived in Lambing Flat in search of gold but after 6 months started a garden and later an Orchard. Rons Seedling originated about 1928 from a hand-pollinated cross by Mr SA Thornell at Young. The seedling is a mid-season variety that retains its firmness and quality through all stages of harvesting and marketing and is generally regarded as the best cherry variety in New South Wales. The fruit is moderately resistant to splitting and very fleshy, slightly fibrous and juicy. It has an exceptionally good taste, and is dark red–purple colour when fully mature. Seedling And Noir De Guben.